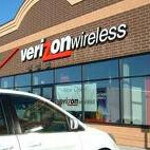 Verizon to offer Windows Phone 7 devices by late March? If you are a Verizon customer who has been waiting for a Windows Phone 7 model to be made available by Big Red, we have some speculation that you are going to want to hear. Based on information from "people familiar with the company's plan", the guys at WinRumors posted a story saying that Verizon's first Windows Phone 7 handset will be launched in late March. The model is expected to be the HTC 7 Trophy and should be introduced by the carrier on February 28th. The device is expected to be priced at $199.99 with a signed 2 year contract and will ship with Microsoft's first update, "NoDo", for the OS which includes copy and paste functionality. The update is also expected to improve application start up and resume times. 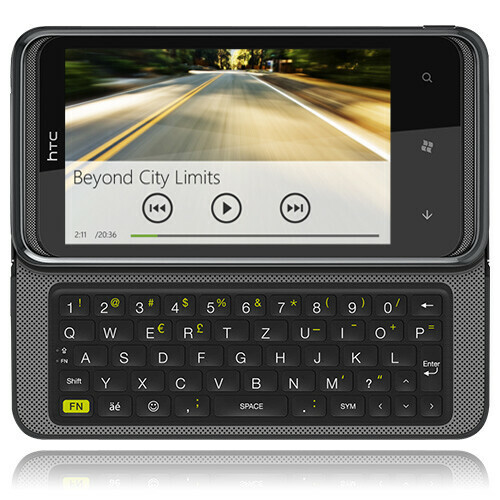 As we reported yesterday, fellow CDMA carrier Sprint will launch its first Windows Phone 7 handset, the HTC Arrive, on March 20th. Sprint's device will also have a contract price of $199.99 although that figure is after a $100 mail-in rebate. There is no mention of a rebate with the rumors relating to Verizon's launch of its first Windows Phone 7 model. i'd like to see the 7 Pro extend to all the top US carriers like the previous Touch Pro did. i'm happily married to Android but if i had an affair it'd be with that beauty. I had the Touch Pro 2... Still do!!! It is an amazing phone, even now with an outdated OS and wayyy outdated hardware. If Verizon pulls out with the 7 Pro, I will get myself and my entire family that phone. Android is too much for cousins and parents who constantly complain of poor battery life, advertisements, and unstable apps. It seems there are too many underdeveloped apps on the Android market... Quality > Quantity. WP7 seems to be following that rule, with big named developer apps being published! true, WP7 has great quality and care in nearly every aspect and i almost want to make the switch but what's keeping me true to Android is the rate of evolution, WP7 came out of the gate alright but it's still another one of Microsoft's Mobile Platforms, a big step from 6.5 but still from the same people that's been doing this for so many years where as Google has pushed Android in just 3 years to a position to where Microsoft has to recognize Google and Android as a great threat to their position and i believe in a year maybe two Android will be as refined as WP7 maybe even more better, we're even starting to see it in Honeycomb so i'm just gonna make myself comfortable for the ride. The only thing that was keeping WinMo from being a revolutionary phone was the hardware. Apple did some smart marketing trick and made minimum requirements for their software, and they come out looking like winners - even when their software is mediocre. The bottleneck for WinMo was hardware, definitely not the software. I love WinMo it has features that have barely made it to today's brand new smartphones... If it wasn't for some outdated hardware, my TP2 would be as hip as any Droid or iPhone. Now that the software is updated and the hardware is "up to date" I see a perfect balance for WP7. They have shown that they are committed to their cellular division, and things look great. In the end, if you like Android stick with Google, if you like iPhones stick to Apple... if your willing to give WP7 a shot, Microsoft will surely NOT disappoint. i don't think sliders are ready for front facing cameras yet.. they'd have to fit a camera module into the top sliding half and i don't think there are any good cameras that small yet. or at least one they can afford to fit in a phone. who said it has to fit in the top half? It could easily go on the bottom... though it would be a bit odd to have to slide it out to do video chat, I'd admit. if it went into the bottom half it would add a considerable amount of thickness and it would make for a poor experience. It looks like something from europe, seeing as how you have shortcuts for the euro and the british pound symbols. This is the picture of the European model... yes. Because it debuted in Europe (Germany I think). The US model obviously will be different.